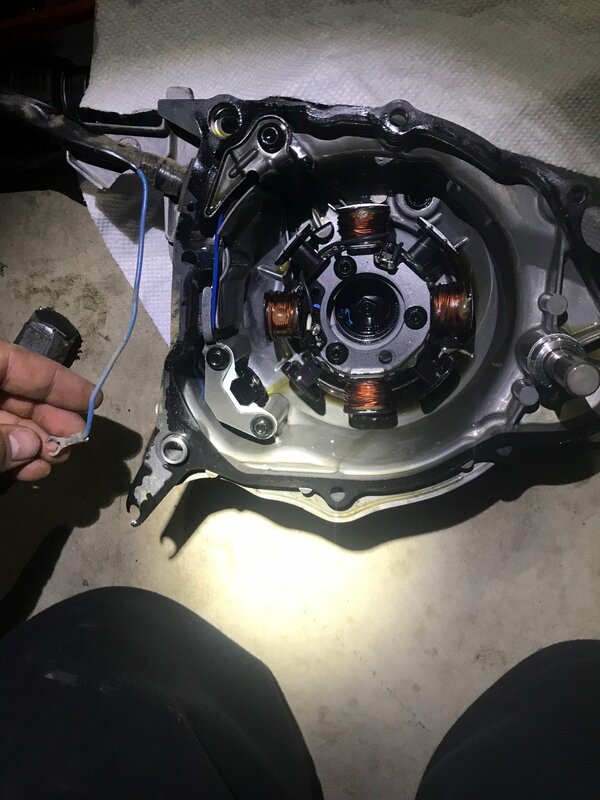 So I removed my stator tonight to send into baja designs to get rewound for a lighting kit. Everything went well. I'm a noob but it was fine. Until I was cleaning up and realized there was a small piece I don't know where it came from.... anyone know where the heck it goes?? When I get the stator back I am not quite sure where this little guy goes... help me please.